When I first got my laptop, of course, I was very excited. But then, when it gets a scratch or any minimal damage to it, you tend to think, “How should I protect my laptop?” We want to make the most of our money and we don’t want any of it to go to waste. As laptop users, we all know that it’s a sensitive electronic device. It might get broken if it’s dropped even in the one-foot distance. So how are we going to protect it? What if the best laptop of 2017 is a dream, that has already become true for you? Will you risk it and carry with all your stuff in a casual bag? Well first, a messenger bag might be too small. My laptop had a messenger bag that came along with it. However, it was too much of a hassle for me. I can’t properly arrange the laptop’s charger and adapter. I also need to carry another bag for my stuff since the laptop’s bag is already bulky. For people on the go, whether you’re a student, professional or a businessman who uses their laptop often, a backpack is perfect for you. Here are some benefits that could be of use to you. Backpacks that is designed mainly for your laptop is more compact. There are backpacks out there that are loose. This type of backpacks makes your things go on a rumble. It has a lot of compartments which means you can organize your things in a precise way. You don’t need to rummage your bag just to find what you’re looking for. It is more secure. Messenger bags or rolling laptop bag has a higher chance of getting stolen. A backpack would give your body less strain since your two shoulders are carrying the pressure. Of course, you have to be careful not to put too much stuff in your bag. To avoid back pains, it is ideal that you put stuff in it less than 10% of the weight of your body. 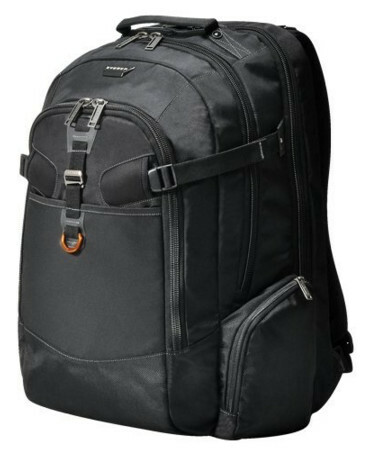 Since it’s a laptop backpack, it is designed to have compartments for flash drives, compact discs, and other necessities. Wires are arranged properly. Personally, I would prefer this type of bag. The only cons to it are some people view it as “not-professional-looking”. However, a friend of mine who works as a civil engineer prefers a backpack. Aside from the security of your laptop, your documents are also secured. Just remember to put the laptop last or in any other way that would allow to take it out quickly if you plan on traveling by plane as you might be required to do just that for screening. 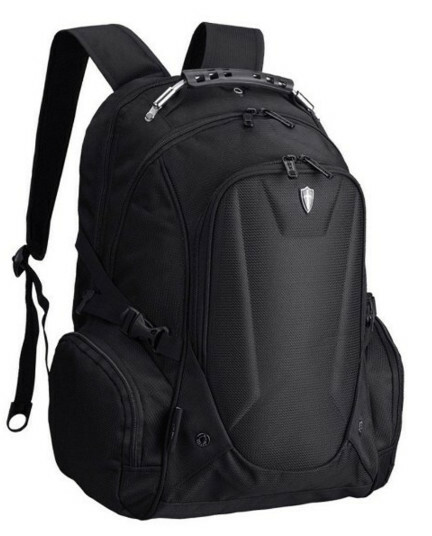 Below are my short reviews of different types of laptop backpacks. Who knows? You might find the best laptop backpacks in the world. Kindly check the links for further details. I will post the link since I won’t be able to state the brands of the backpacks. Please note that, in choosing backpacks, consider the size of your laptop. You should choose the one that would fit perfectly. You wouldn’t want your laptop to move around inside your bag and might cause damage. This backpack is great for organizing things. Aside from its compartments, it has separate pouch included. This is perfect for the storage of your wires. A compartment for you tablet devices or iPad is also available. You might wanna check out the video on the link. The compartment where your laptop resides opens 180 degrees which make it checkpoint friendly. It also comes with a cover that protects your bag from rain, dust or snow. This could save your worries when you forget to bring an umbrella. Mostly, you adjust backpacks with a two point balance strap system. But this backpack has a system where you can adjust the straps to distribute the weight evenly through five points. 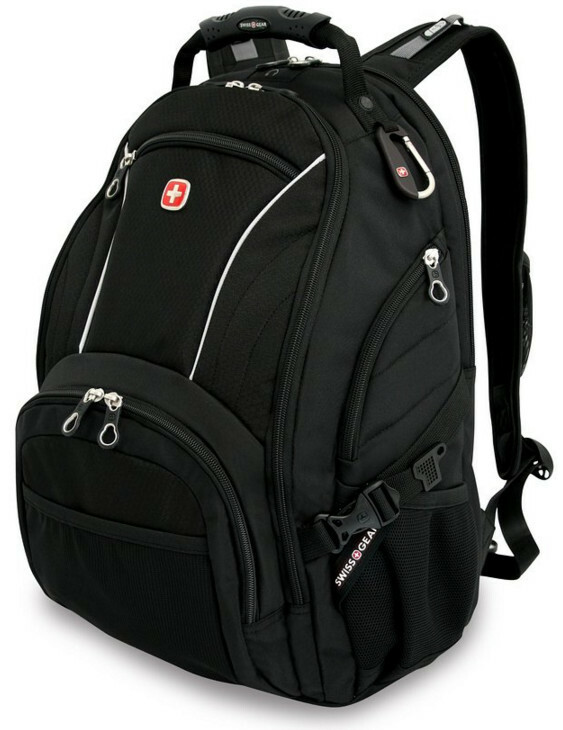 Its back panel is padded and its shoulder straps are designed with pillow-soft materials. It’s great for comfort. It can store a laptop up to 18.4 in inches. Judging by the look of its straps, it is very durable. I am confident that straps won’t break easily. What’s great to this bag is it has a lifetime warranty. Wow! I can never say more. This is actually the best tech backpack. A perfect gaming laptop backpack. I’ve always had the heart of a gamer. Do you know that feeling when you want to try a newly released game but you’re broke? Or you want to have a decent gaming console or even a decent gaming computer? Well, if you’re a gamer on the go, then this laptop backpack is for you! Want to know why? This backpack is water resistant. It does not use a cover, but it can resist up to 8 liters of water. However, the water might enter through the zipper. It’s strong, lightweight and durable. It can hold up stuff up to 30 kilograms. But you wouldn’t want to carry a bag that heavy, right? Also, unlike the other backpacks where you put your gadget or mp3 player inside the bag, the shoulder straps has a pocket for that. This makes things at ease whenever you want to change the song. One of the problems I have, whenever I want to bring my headset at school, is, “Where do I put it?”. Sure, I do have a backpack, but it’s not safe since my other stuff is also in it. It might cause damage to my headset. Well, worry no more! This backpack is designed not just for the safety of your laptop, but it also has compartments for your keyboard, a pocket for your camera and mouse (inside the bag) and lastly, there’s a hanging hook made especially for your headset! It can fit up to 17-inch gaming laptops. The back panel is also well ventilated. The design will really reflect the character of the user. It is the character of being a gamer. As of now, this and the first bag has almost the same price. Yes, they’re both expensive. The warranty is one year as what the manufacturer said. You might want to check the video included in the link as well. I also want to add that even if you’re not a gamer, you might still want this bag. Just like the rest of the backpacks, this one is also great for organizing. This backpack is smaller in size. If you don’t carry too much stuff with you, then this is the right one for you. A perfect laptop backpack for women. 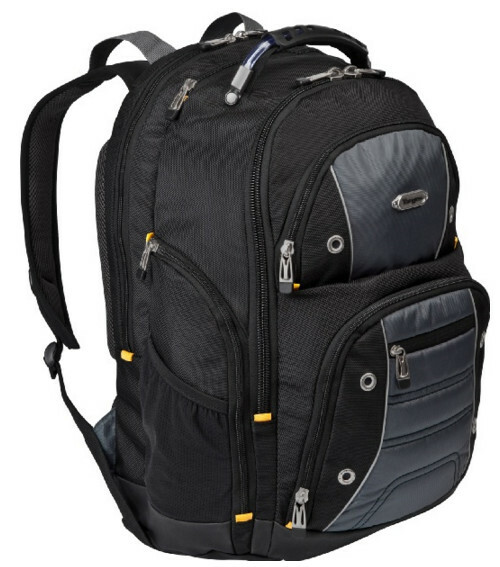 It has almost the same features with the first backpack I discussed but this one doesn’t open up to 180 degrees. Some reviews complained that the straps broke easily. 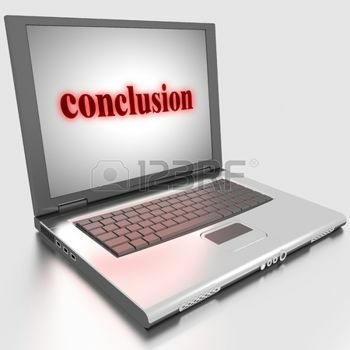 However, I still think that how you use it matters with the durability span of your laptop backpack. Documents and folders still have their place but judging by its looks, your documents will have the tendency to fold. It’s also padded for comfort. It has an airflow system on the back panel which is good for people who sweats a lot. If others weren’t on sale, this one is the cheapest. I didn’t saw any warranty for this product. This one is cheaper than the third one. If you’re trying to save money, this one is still nice. The design is kind of similar to the first backpack I’ve mentioned. Yes, it is compact. I would entrust my laptop’s safety in it. It also opens 180 degrees. Perfect for checkpoints. It has two sizes. This one is 16 inches. Please note that the other size is more expensive since it’s bigger. It is also durable. One of the materials used is ballistic nylon for long lasting durability. It has a secret compartment at the back for your wallet or keys, but at the same time, it is a pull over band where you can slide it in the luggage handle with ease. It has 1 year limited warranty according to the manufacturer. Overall, this backpack is a good choice. The first and the fourth one has similarities in the design. The outer design has large compartments. 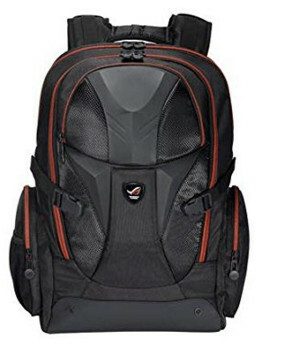 However, the second one and this which is the last one of the laptop backpacks I’m going to review has similarities. It has smaller pockets on the outside. Please note that this is still two different bags. Why? I’d be blunt, the third bag that I discussed with you isn’t that compact. This one is more compact. This means that your things inside are intact. You wouldn’t have to worry when you’re moving around. Its bottom is water resistant. Sometimes we tend to put our bags on the floor and we don’t notice any water. This is a great feature for accidents like that. It also has a lot of compartments where you can put your necessary files. This also has a compartment at the back for your valuables but it can’t be pulled. Although you can just put it at the top of your rolling bag and put the shoulder straps on the handle if you want to. The price is third on the list. Personally, I would prefer this bag. The first and the second one may have a lot of features, but for someone like me, I can’t afford an expensive bag but I won’t also settle for less. I forgot to mention that this bag has limited Life Warranty. It’s the same with the first one. Pretty great isn’t it? Making the most out of your money. Besides, giving a lifetime warranty means that the manufacturer is confident enough about their product. Also, all laptop backpacks have side pockets for water bottles. The warranty of the third and fourth backpack wasn’t mentioned. You may have to contact the seller. About the cover for your bag, if you have skills in sewing, you might want to make it. However, if money isn’t an issue, I would definitely recommend the first link or the second one.Alright, I hope that helped. Choose your bag wisely! But before you buy a laptop backpack, ask yourself why exactly you need it. Do you perhaps need it for school? For college? Most college students need to carry their laptops with them, but they also need to carry so much more. If you’re one of them, consider buying a backpack for college. Alright, I hope that helped. Choose your bag wisely!